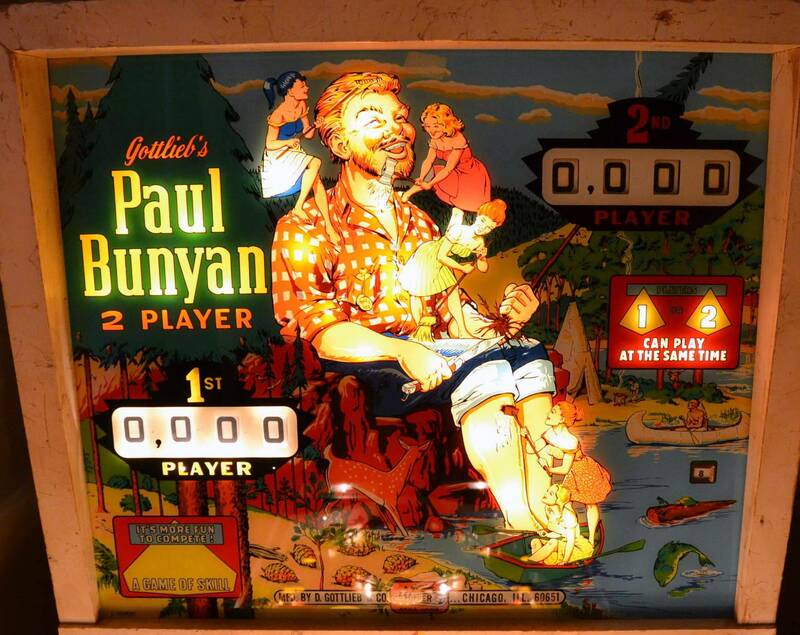 » Forum » Electro-Mechanical » EM Pinball Hangout » The Gottlieb "Paul Bunyan" Club... SIX Flippers! 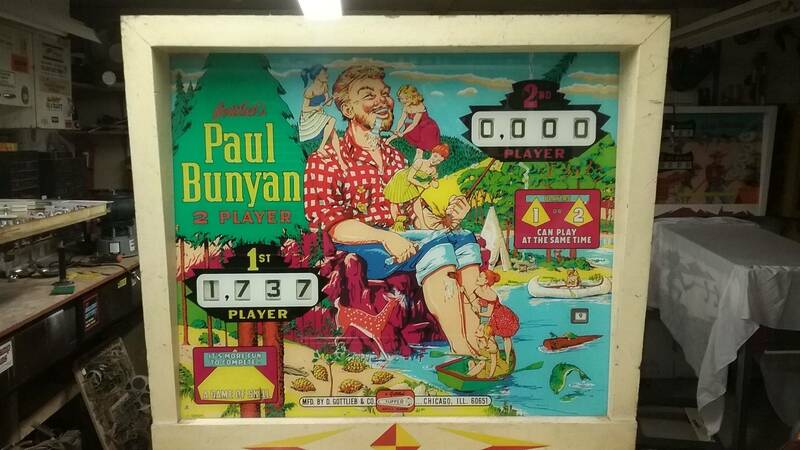 » The Gottlieb "Paul Bunyan" Club... SIX Flippers! The Gottlieb "Paul Bunyan" Club... SIX Flippers! So I've enjoyed this game since I bought it from a friend who did a great job shopping it for me. 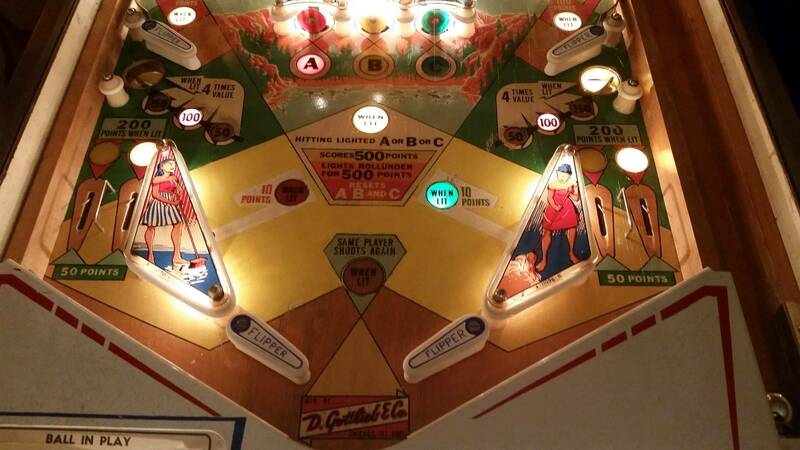 -There were only 1,900 of this 2 player Gottlieb game made. -Art Stenholm did the artwork for this game and it has a beautiful backglass. -There are six flippers, one pair at top, one pair in the middle and one pair at the drain hole. I'll post a gameplay video of this game soon. 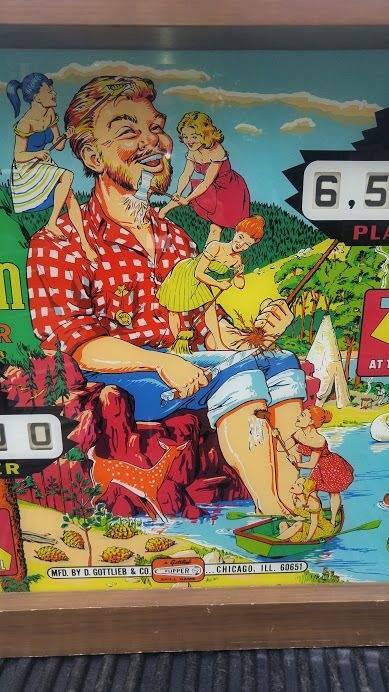 PinballFever last edited this post 9 months ago. Here is a photo of the backglass. It's in good condition with slight touchups. Thanks for chiming in. It's an underrated title in my opinion. 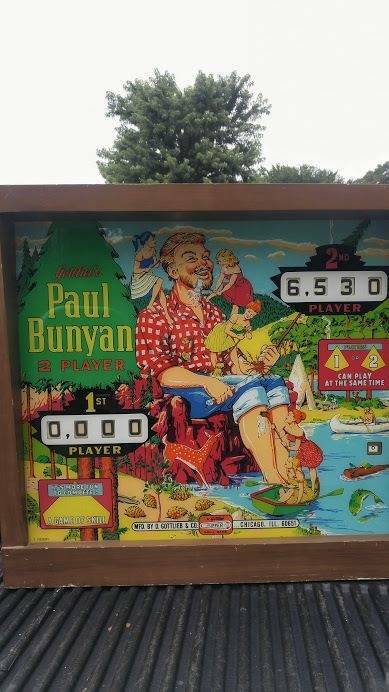 "Paul Bunyan" is one I've never played. I hope to give it a try sometime. I hope you get to try it sometime. I'll post a video of the game in action as soon as I can so you can see what it's like. i owned for a couple of years, sold only due to lack of space. look at that glass, what dude wouldnt want a couple of hot chicks tending to his needs? the woods, the happy animals, its just great. i smiled every time i saw it. its a fun game too, and not easy. my favorite shot was the one at the top , near the ball arch. you have to bank it just right off the angled rubber, like making a shot playing pool. one thing i did was swap out the flipper linkages for ones i made of aluminum. the lighter weight made them much more responsive and the game play much better. its fun to go " up the ladder" with the ball. Agreed. I just took photos of that rollunder at the top, near the ball arch to show what it's like. 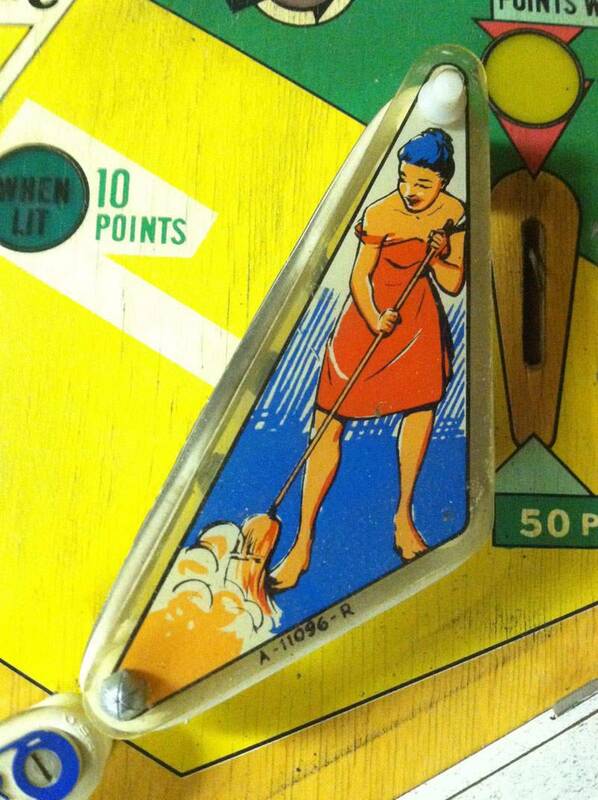 You get many shots at it with the top flippers or you can try to bounce the ball through it. one thing i did was swap out the flipper linkages for ones i made of aluminum. the lighter weight made them much more responsive and the game play much better. Good idea. I did an easily reversible personal mod on mine removing the linkages and rewiring Gottlieb 70's flipper switches in place. It makes the game easier to play when you have arthritic hands. its fun to go " up the ladder" with the ball. It sure is. I'll show photos of that part tomorrow unless someone else wants to post photos of it. and here is a photo showing the top pair flippers with their "banks" aptly described by pinnut. 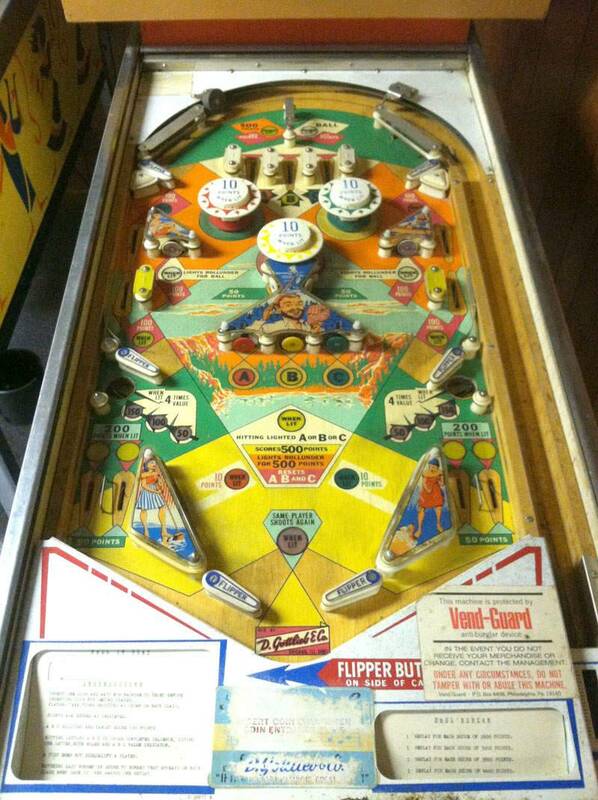 The Gottlieb Humpty Dumpty pinball machine had 6 flippers but they were inverted. 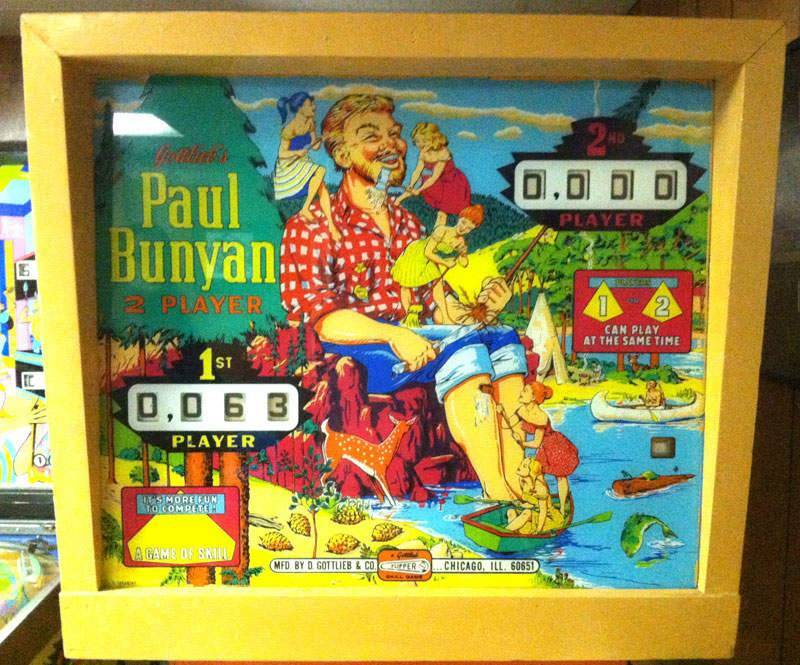 I think "Paul Bunyan" is the only pinball machine with 6 flippers in normal position? Red A target or Red A rollover lights up the Red pop bumper for 10 points and the Red side rollover for 100 points. Yellow B target or Yellow B rollover lights up the Yellow pop bumper for 10 points and TWO Yellow side rollovers for 100 points. Green C target or Green C rollover lights up the Green pop bumper for 10 points and the Green side rollover for 100 points. Either of the Bullseye targets on the sides for a chance to light up the top Rollunder for Shoot Again award. It's a tough shot! Either of the Kickout holes on the sides for four times the normal score. The Kickouts normally score 50, 100 or 150 but when lit they score 200, 400 or 600! This game does not reset after each ball. This means being a 2-Player game that you can get the ABC in order then drain the ball leaving the Awards available for the second player to claim. 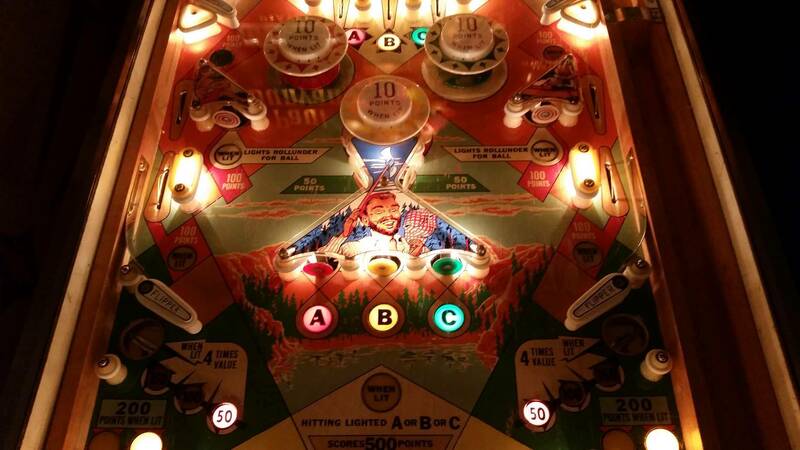 Here is a mid-playfield shot with the ABC targets/rollover lanes lit just after the game has reset. 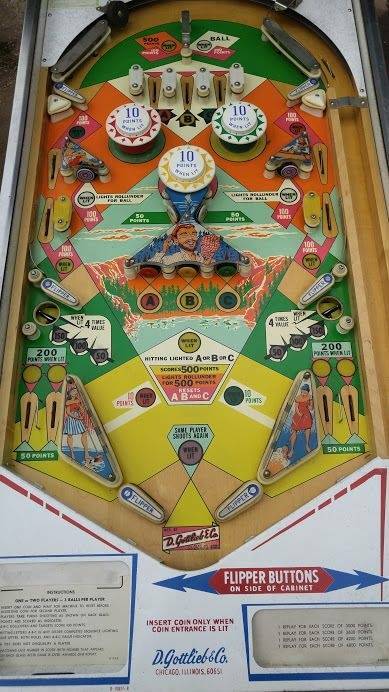 This is a mid-playfield shot after getting ABC in order with the Pop Bumpers, side Rollovers, Bullseye target and Kickout hole lit up. Getting the one lit up letter is worth 500 points and resets back to ABC as shown in the previous photo. I think you got it backwards. Humpty Dumpty, the first game with flippers had them in the normal position. When they flipped them around they became inverted. I forgot about that normal vs inverted discussion. Will carry on with more about this game soon. 1. Take a chance and try for one of the ABC targets and risk draining the ball or losing it to the Outlanes. 2. Try for the Kickout holes. 3. Try to get the ball back up to the mid-playfield area and safety. The lit Kickout hole scores 400 in this photo. 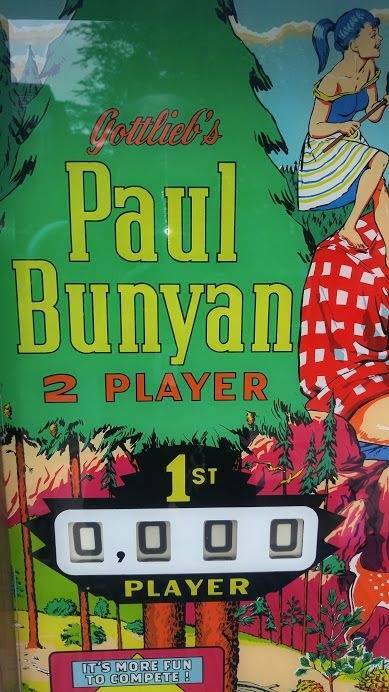 Here is the video of my "Paul Bunyan" showing a 2 Player game. My wife was gracious enough to play both players while I recorded the video. 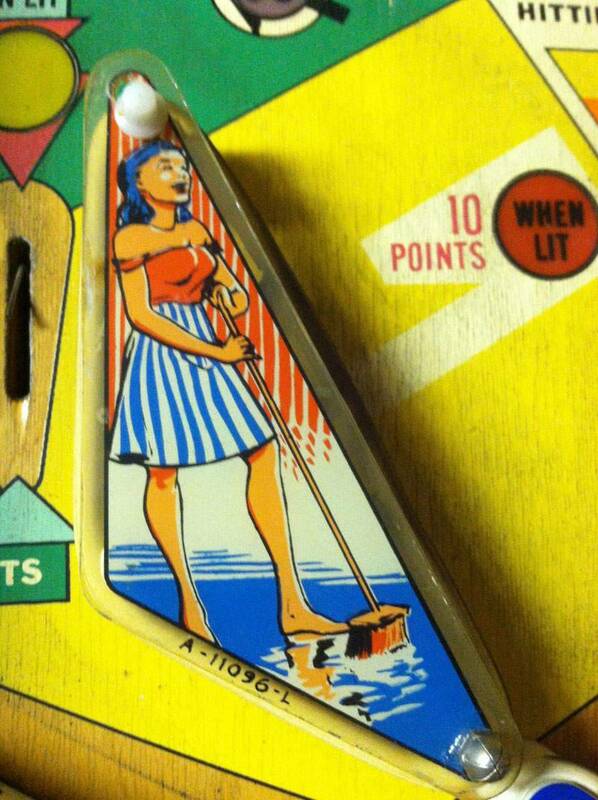 It's her favorite pinball machine because there is more action with 6 flippers. My friend did a great job shopping it for me 20 years ago and it still plays like the day I got it from him. I found one on Ebay. It is slightly pricey but in really sharp condition. Wow. Nice looking game but I think it's too pricey for a game that's not an "A title". I'd like to find a parts machine with nice playfield for my game so I can do a PF swap. Mine has planking and wear If anyone sees one available, please let me know. I joined the club tonight. ...and just got it set up. 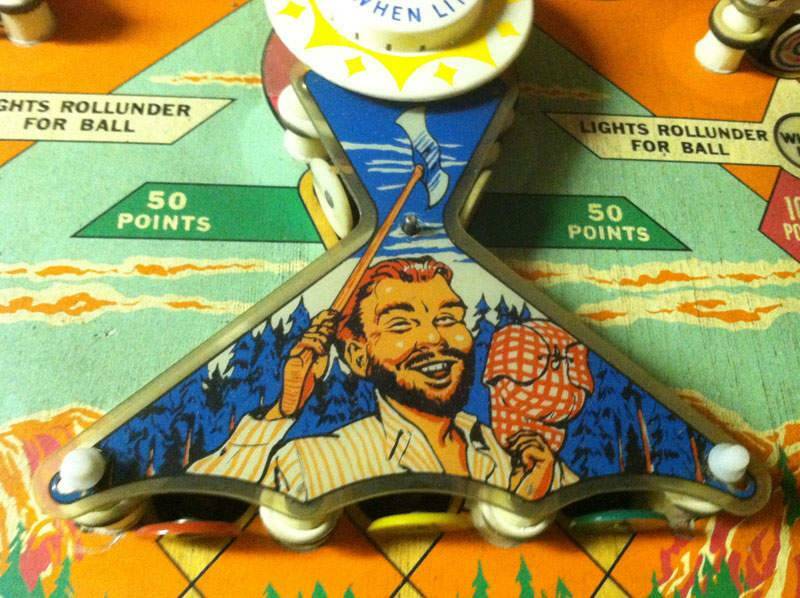 Thanks go out to Pinsider Pecos' Project Pinball thread for helping me find this one. Looking forward to getting her playing. Congratulations and welcome to the club, Ryan! You found a nice one. 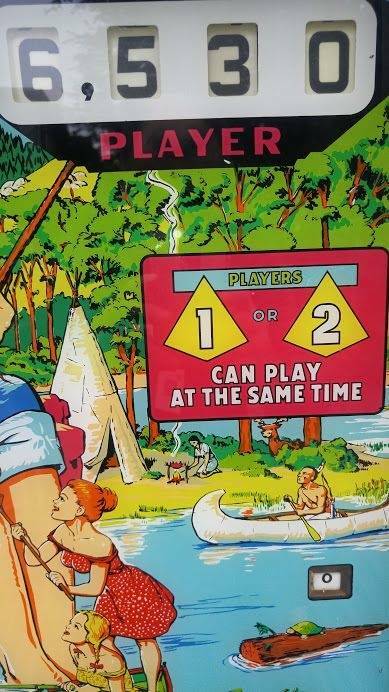 Have you ever played this game? 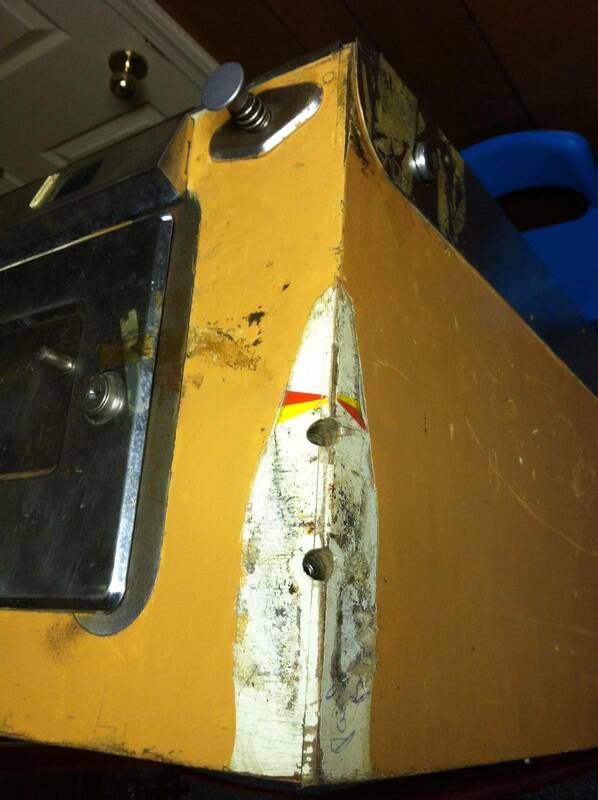 You might already be aware that the cabinet was repainted and that some of the plastics are missing acorn nuts. It's hard to tell from seeing the top only but you will most likely need a Palnut Removal Tool from PBR for unscrewing the posts and acorn nuts separately so you can strip the playfield for cleaning. I sincerely hope this isn't a "re-theme" project. You found a nice one. Never! I've always been attracted to that hilarious backglass. 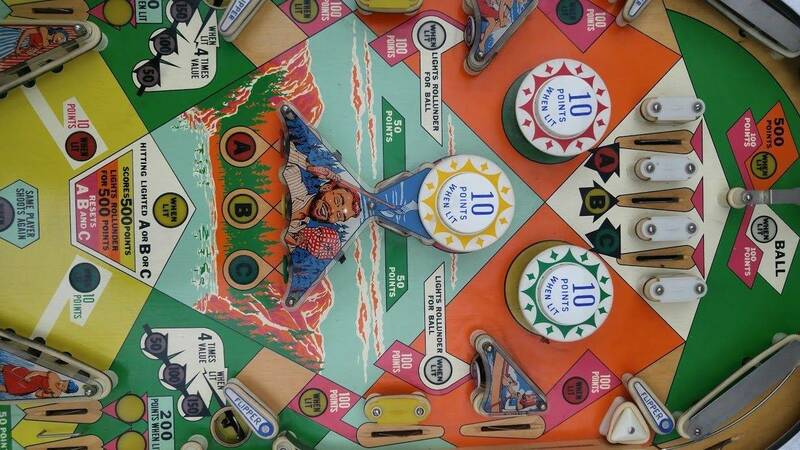 ...but never even looked at the playfield until one came up for sale in my area recently. 6 flippers on an EM game??? Very interesting, with shots accessible only via each separate flipper. ...but those double outlanes? WOOF! Those look brutal! Mine's not CURRENTLY working, so I guess I'll find all that out soon enough. Anyhow, it sat around craigslist long enough where I was able to score it for a nice price. 11 new palnuts were ordered today! Also coming my way in the same order! Get ready for the Honey-boo-boo pin! A large part of why I got this machine was the art. Not a chance I'm sanding it down, except for maybe that cabinet. ...now, let's see, what could I put there besides a red and yellow diamond? Never! I've always been attracted to that hilarious backglass. 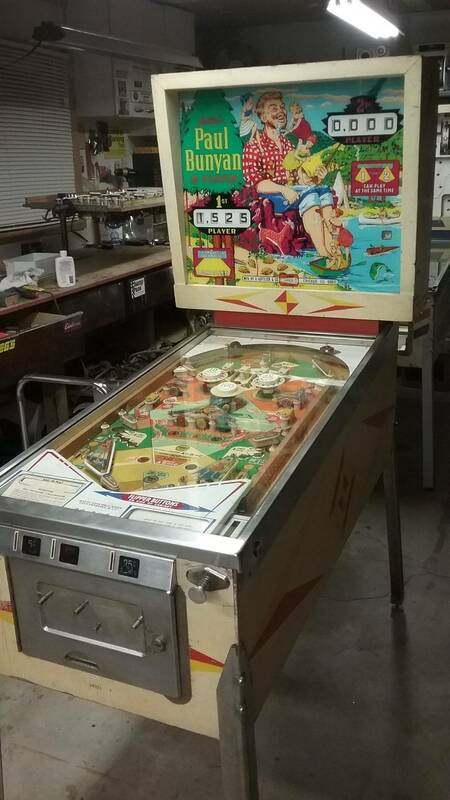 ...but never even looked at the playfield until one came up for sale in my area recently. 6 flippers on an EM game??? Hopefully you'll get it up and running soon so you can find out what it's like to play. You're on the right track then. You made me laugh with that one. A large part of why I got this machine was the art. 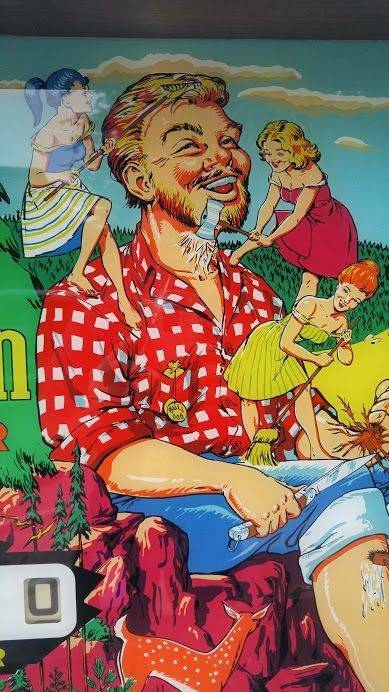 I like the artwork by Art Stenholm too. Let me know if you need stencils for a repaint. I can also use them if I make some. Good to know. Thanks so much for the offer. The generic red and yellow diamonds are about the only artwork on this pin I'm not a fan of. If I decide to repaint, I'd probably create some new art for it...but that's getting ahead of myself. SO MANY PROJECTS! Ha-ha! The generic red and yellow diamonds are about the only artwork on this pin I'm not a fan of. If I decide to repaint, I'd probably create some new art for it. Blasphemy I say! A complete re-theme is fine but I haven't seen a repainted cabinet with a different theme that looked good...yet! The ones that are well painted and faithful to the original design just gladden my heart when I see them and they look so...right. Ha-ha! I hear ya. ...but I'm a wacky artist, what can I say. 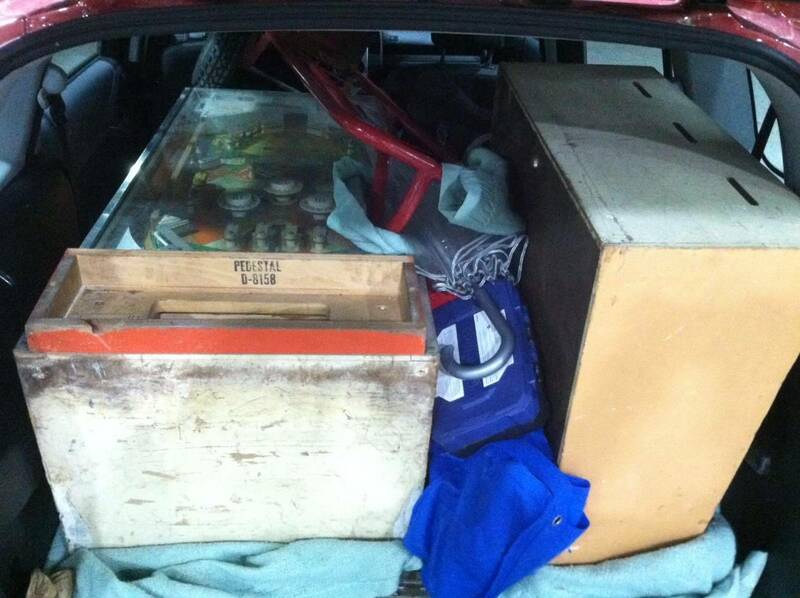 One thing's for sure, it'd be hard to make my cab look much worse than it does right now. it'd be hard to make my cab look much worse than it does right now. 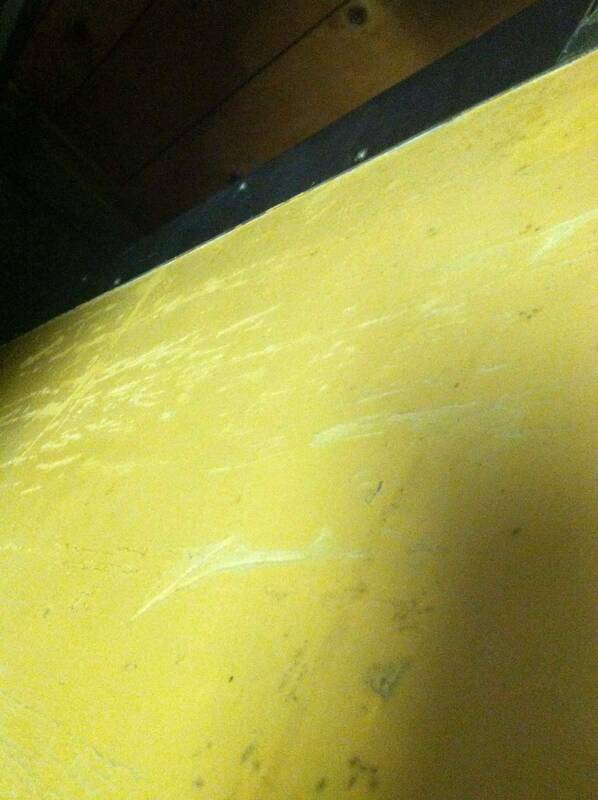 I wonder if you can remove the paint and leave the original paint that's underneath it? I just picked me one up today so I gotta git in where I fit in...someone needed to wake this thread up anyway. 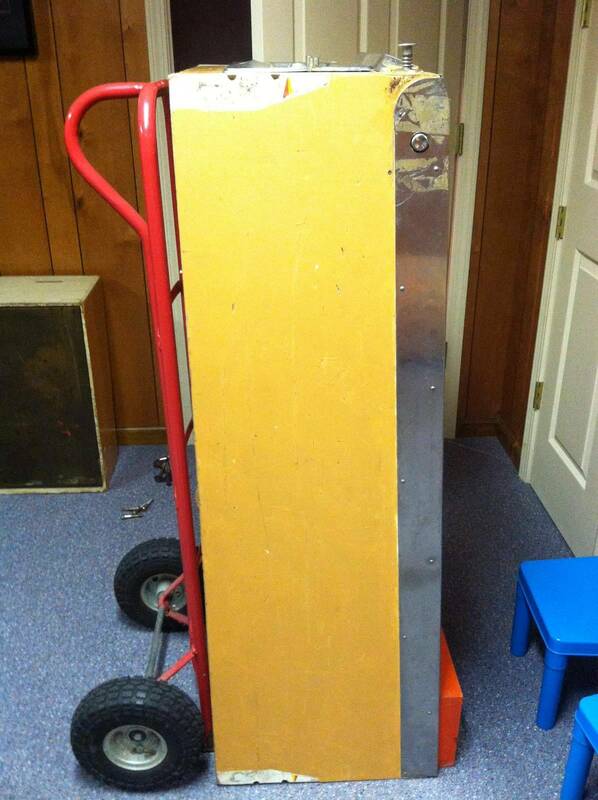 Hello All, I have a 1968 Paul Bunyan for sale located in Huntsville, TX if anyone is interested, I posted this in the classifieds and there are some pictures. Could you all give me some guidance on fixing the right middle and top right flippers, they stopped flipping just recently. Any idea on the fix/remedy for this? I picked one up last summer......Even has the 5 cent coin mech in it! Has anyone replaced the main flipper with a hotter "orange dot"? Does anyone know off hand how or where to change 5 ball to 3 ball play? 5 balls is too many balls in my opinion when you're playing a 2 player game. 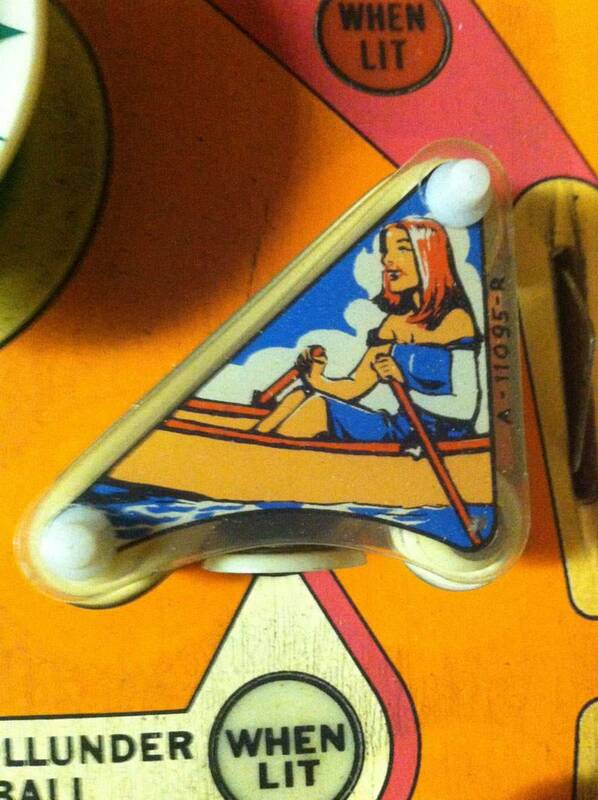 I looked in the backbox recently for this setting but maybe it's on the playfield underside or in cabinet? Found and changed to 3 ball. 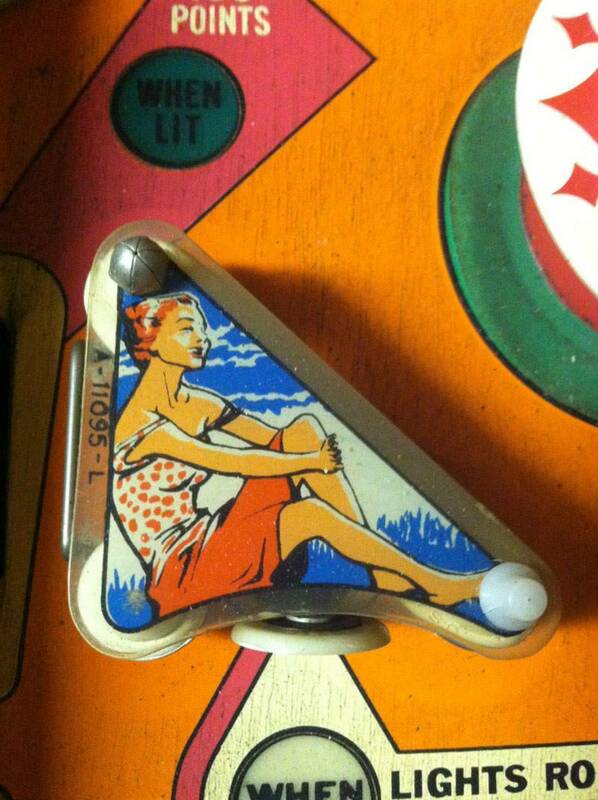 It was underside the playfield. Been working on my Paul Bunyan to get everything working and realizing that the sequence Bank doesn’t reset at the beginning of each game. I have tried everything I can see as obvious paths on the schematic. For you guys that have it working, when exactly does the bank reset on a new game? Before, after, or during points reset? Prior to ball being served? I sold my game a while ago, but recall that the resets after a full sequence..A,B,C and then hitting the 500 moving target. This has nothing to do with the start or end of a new game. So if you had a game over and A & B were put out but C was still lit , upon a restart of a new game C would be the only Letter lit? So if you had a game over and A &amp; B were put out but C was still lit , upon a restart of a new game C would be the only Letter lit? Yes, the new game would start at the same point of the A B C sequence as the last game ended. The reset bank is only activated by earning hitting the 500 point target. Wow, I feel dumb. Been chasing a ghost. Cheers and thank you! 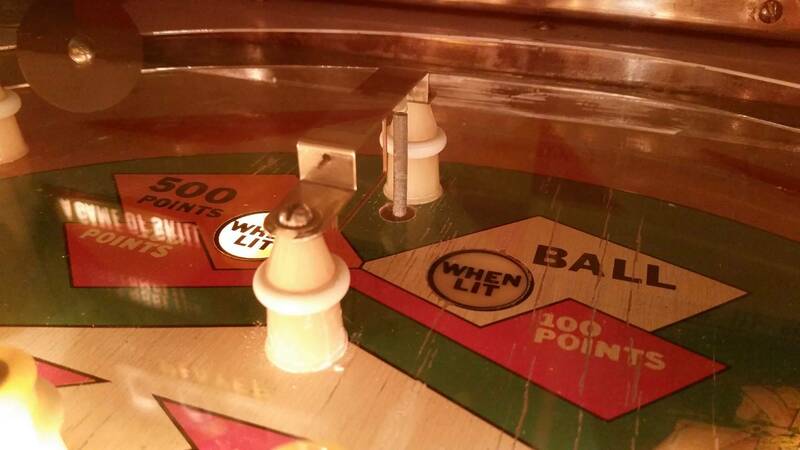 I should add that the extra ball roll-under if lit at the end of a game will not roll over to the next game. That's the only part of the bonus sequence that does not continue game to game. 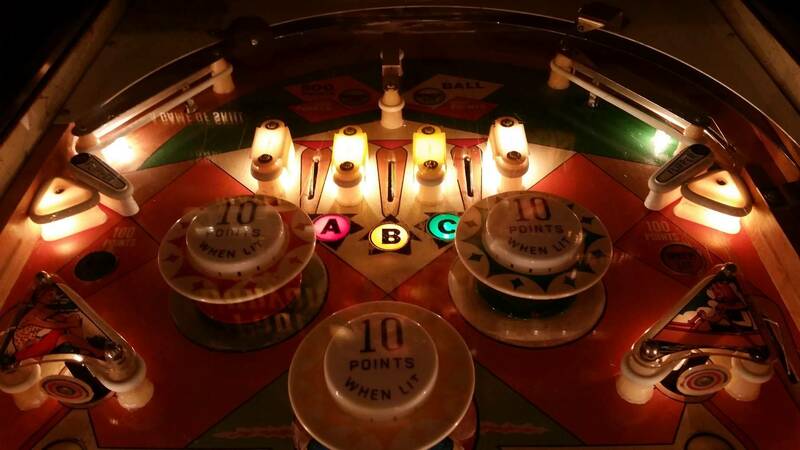 The competition factor for this game is Player 1 would set up the A,B,C then drain the ball and Player 2 would rack up points on the 500 point rollunder, the 100 point when lit rollovers and the lit up kickout holes which are worth as much as 600 points then hit the moving 500 point light before draining the ball leaving you to get the A,B,C again. I didn't realize I haven't shared the personal mod I did with my game because the flipper linkages were hurting my hands. I removed the mechanical linkages and used two 70's Gottlieb flipper switches and a small jones plug from my friend to do the mod, wiring, running it along the harness, fastening and soldering and heat shrink tubing it all up. It's easily reversible too. What's your verdict on flipper linkages vs. flipper switches? I like that flipper button mod! The original buttons are too heavy/slow. So I have discovered now that the game will not award the extra ball. Q relay pulls in when I hit bullseye target and lights the roll under light at the top. When ball passes under the roll under it pulls in the rollunder relay and awards points but Extra Ball Relay (C relay) doesn’t ever pull in. I can press the switch on the relay and “same player shoots again” light turns on for as long as I hold the switch down. 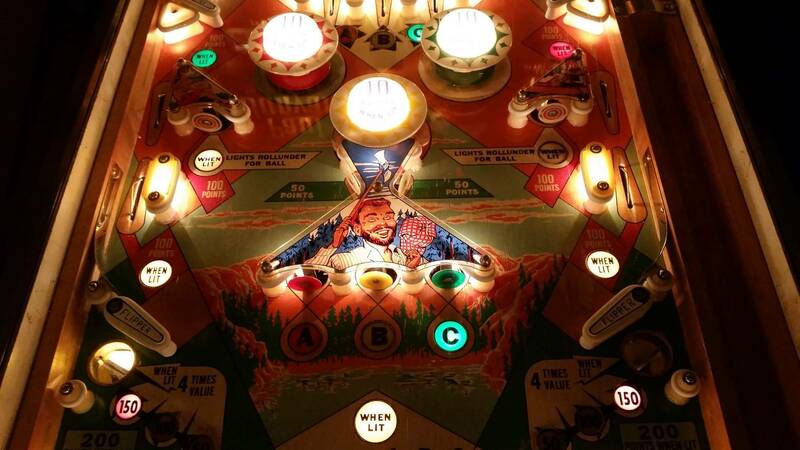 From memory, there are 2 switches activated under the playfield by the roll under feature at the top of the playfield. I would clean and make sure those switches are adjust properly.